On Thursday, a horrifying video emerged showing a man being brutally hacked to death and set on fire in Rajasthan. 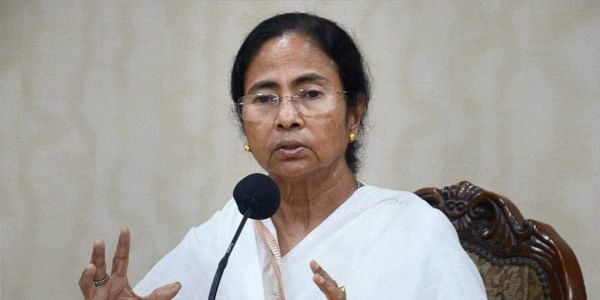 KOLKATA: West Bengal chief minister Mamata Banerjee on Friday announced Rs 3 lakh compensation and job to one member of the family of Bengali migrant labourer Mohammad Afrajul Khan of Malda who was brutally killed in Rajsamand district of Rajasthan. Prime accused Shambhu Lal Regar was arrested on Thursday after the video recording of the brutal murder of Afrajul went viral on social media. He claimed that Afrajul’s murder was part of his crusade against ‘love Jihad’ and warned of similar acts if ‘Jihadis don’t leave India’. The Trinamool Congress supremo had tweeted on Thursday condemning the killing. “We strongly condemn the heinous killing of a labourer from Bengal in Rajasthan. How can people be so inhuman? Sad,” she tweeted. The relatives of Afrajul in Syedpur village in Kaliachak of Malda district demanded that the accused be hanged to death. They rubbished claims that Afrajul was involved in a love affair with a Hindu woman in Rajsamand, alleged to be the niece of accused Shambhu Lal. On the other hand, several political organisations staged processions in Malda and Kolkata, most notably at Rajasthan Bhavan in the eastern metropolis demanding exemplary punishment to the accused.